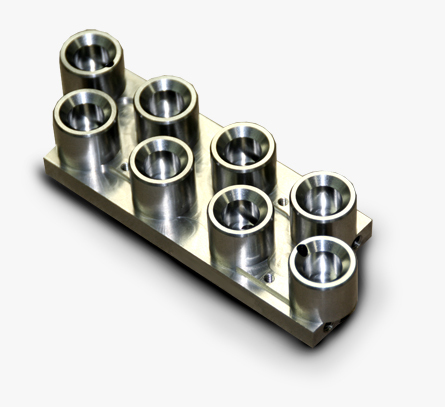 We are experienced with critical tolerance short run parts. In addition, we are equipped to handle larger product orders. With this experience we are very knowledgeable in fixturing and manufacturing a wide variety of components. At RMI we have the ability to serve a wide variety of our customers' needs with a wide selection of machines, and a large variety of material stock. We are also a "Certified Supplier" to some of our current customers due to our consistent quality and on-time deliveries. © All content copyright 2007 Robin Machine Inc. RMI Logo is a Trademark of Robin Machine Incorporated.